The typical music blogger gets 348 emails per day. Ok, that’s a claim that can’t be proven, but the point is that the powers that be who decide on which music gets featured receive a lot of emails, direct messages, @ mentions, and snail mail. You already know your music is something special, but how do you make editors and writers see that when all you have are a few words to grab their attention? First off, if you’re really serious about getting featured, commit to making this your part-time job, especially in the beginning. This post will help you map out a plan, then weave a few of those tasks into your schedule every week. This process starts with lots of research, so get organized with a spreadsheet. It may take some time upfront, but it’s going to save you loads of headaches in the long run. Though your spreadsheet can have any information or function that’s most useful to you, you’ll want to focus on the most relevant contact information for the people who can get you on the homepage or front cover. Status on correspondence – reach out dates, followups, replies, etc. Once you have that set up, you’ll go to town finding every, any, and all people you could reach out to. Even when you get to 100 people on your list, keep going. To make it easy, we’ve created a template for you. Download it for free here. Who doesn’t want to celebrate the hometown hero? Local blogs, publications, and channels are a great first bet when it comes to getting the attention of a music blogger. Not only will you be up against less competition, it’ll also be easier to speak the writer’s language, i.e. mentioning venues that person will be familiar with, other local acts who’ve asked you to join their show, etc. You want to provide information that helps the blogger quickly put you and your music in context. If you played the biggest venue in town, that’s going to catch attention. Your spreadsheet has a column to record specific music genres covered by various writers because you need to keep track of the right people to spend time on. If you’re in a hip hop group, don’t bother sending an email to someone who covers EDM. Find the people who are already interested in and covering the type of music you make. Personalized introduction: Sending personalized emails is easy using a tool like DropTrack. When you send a message, do not bcc a template email to music bloggers. Doing that may get you blocked altogether, let alone ignored. You don’t need to spend a paragraph flattering the writer, but greet him or her by name, and mention a detail specific to them. For example, if you’re reaching out to a local blogger, you could say: Hello Tim, I saw your review on the show The Screaming Monkeys last Thursday. I also love The Descendents vibe they put out in their first song. Info + Ask: Your band’s story should be one line. We’ll talk more about how to craft that one line below, in the section Tell Your Story. Your “ask” should be direct and actionable. If you’re sharing your new single and want to see it featured in the “New Local Music” section on the writer’s site, say exactly that. Do not ask the blogger to “let me know what you think.” Not only is that a huge question to answer, it’s also highly doubtful such a vague request will lead to your original goal of getting featured. Links to Music: Oh, just the whole reason you’re reaching out in the first place. Do not forget to include obvious, clickable links to your music. The links should only be streaming links and lead exactly to what you’re referencing. If you want the blogger to listen to a single, make sure you link them directly to that track (a tool like DropTrack can help). That’s it. Oh, and a friendly sign-off. Of course, that little bit of information doesn’t begin to fully describe you and your band, which is where your website comes in. There, include anything you feel helps describe your band and tells your unique story. That’s everything from creatively describing what your music sounds like, who’s in the band, news on past and upcoming shows, and photos. On your homepage, it’s also a good idea to provide press release-style information that a blogger can easily copy and paste from. When you do get featured, you want to make it super easy for the busy writer to create a blurb about you. Think about what makes you and your band different and compelling. Chances are it’s not necessarily what you’re doing with your music, but rather your personal origin story. Maybe you’re a solo artist who got your start when you inherited your grandfather’s guitar. That’s going to stand out a lot more than telling a music blogger your sound is a mix of folk and top 100 alternative. If you’re having trouble pinpointing your unique story, research some of your favorite bands for inspiration, or check out the Authentic Artist Branding Bootcamp. It’s not over once you send out that initial email. Following up keeps your band’s name at the top of a writer’s inbox and increases the likelihood your email will be opened. For a general follow up, wait at least a week before sending another note. You don’t need to say or provide anything new, just check in to see if the person has had a chance to listen to what you sent over, and then close out with a friendly sign-off. Any time you get covered by another publication, use that as a chance to reach out again to share the news that you got a mention in so and so publication. Often, hearing that a competitor has taken an interest in you is a good push to get someone to check you out. Any time you get a mention, thank the blogger directly with an email (better yet, a handwritten card if you have mailing info), and share the link with anyone and everyone. Bloggers make money through ad revenue based on how many people visit their site. If they see that by featuring your music their traffic spikes, that’s a good reason to write about you more in the future. If you feel yourself getting frustrated or deterred, remember why you’re doing this in the first place (it may even help to take a break and go play a little music). Even the most popular bands in the world started with just wanting to get their music heard. Paul Loeb has been at the intersection of music and tech for 20 years. He is founder and CEO of DropTrack, a music promotion platform for independent artists. His goal has always been to give musicians like himself the tools to stand out from the rest, get heard, and make deals. 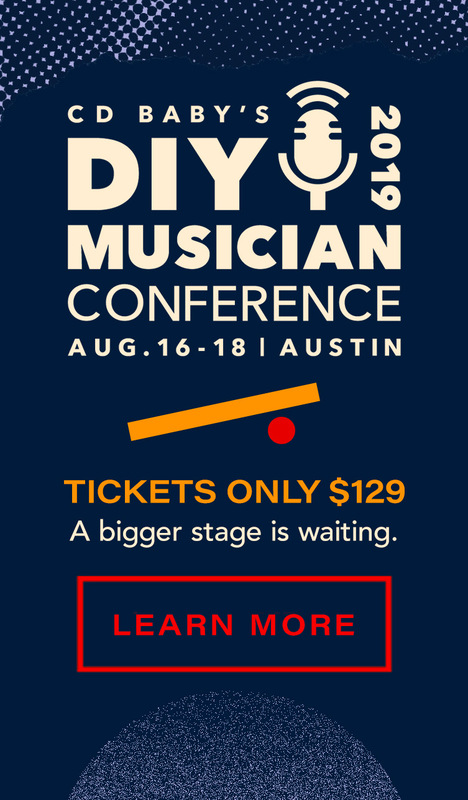 Last chance for $69 early-bird tickets to the DIY Musician Conference!